Raise a glass to a magnificent decade of remarkable wines, as Pacific Coast Wine Festival (PCWF) celebrates its milestone 10th anniversary in 2017 with another spectacular event! Guests of this year’s wine festival will find themselves afloat in a sea of outstanding flavors from the premier wine-producing regions of the world. 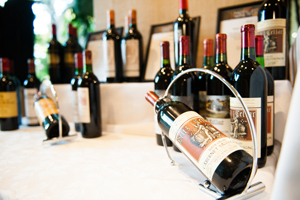 This sensational evening of first-class wine tasting includes a delicious wine-paired feast and both silent and live auctions offering rare bottles and exceptional experiences! 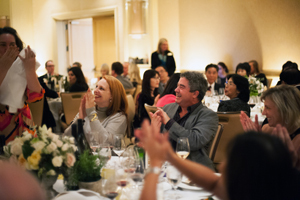 With wines ranging from cult and storied artisanal to those that need no introduction, PCWF has swiftly become one of the most revered wine auctions in California, as well as a major fund-raising event for Pacific Symphony’s many arts and education programs. This year’s PCWF, generously sponsored by Jaguar, Land Rover, Aston Martin Newport Beach, takes place Saturday, March 11, beginning at 5 p.m. in the elegant five-diamond Island Hotel in Newport Beach. For more information, please contact the Symphony’s special events department at (714) 876-2364 or events@PacificSymphony.org or CLICK HERE. “We have lots to be excited about this year—we’re back at the lovely Island Hotel and we’re inviting wineries with wines that have made the Top 10 wine lists so people can see what the buzz is all about!” says Bates. “We’ll have 20-plus wineries for tasting, along with great appetizers. 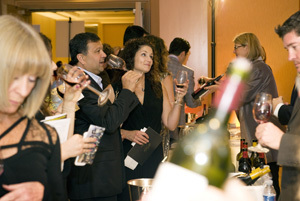 Guests have the opportunity to speak with numerous winemakers or their local representatives. After 10 years, PCWF has become a serious festival for wineries to showcase and sell their wines to sophisticated Orange County wine lovers." 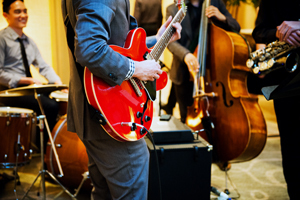 PCWF delivers a first-class opportunity for wine enthusiasts, casual wine drinkers and music supporters alike. The grand evening gets underway at 5 p.m., as guests find themselves enveloped in the casual but elegant ambience of wine country, where they are invited to stroll through multiple rooms, experience the tannins and inhale the complex aromas of more than 60 wines from California’s boutique wineries and around the world, plus enjoy complementary appetizers and bid on three sets of enticing auction lots. VIP guest winemakers include Paul Woolls of Progeny, William and Jane Ballentine of William Cole, Tyler Olbres of Nellcôte, and Desirée Del Dotto of Del Dotto Vineyards. Other wineries pouring include Herb Lamb, Beekeeper, Blackbird, Bougetz, David Arthur, Pont Neuf, Privé and Riverain. Following the reception at 7:15 p.m., guests are ushered into the grand ballroom with décor reminiscent of glorious grape-orchard regions around the world, to enjoy a five-course gourmet meal crafted by the Island’s Executive Chef David Man and perfectly paired with wines, while enjoying live music performed by a talented Pacific Symphony Youth Orchestra musician. The evening concludes with the thrilling live auction featuring some of the finest and rarest of wines including selections from Mouton Rothschild, Margaux, Screaming Eagle, d’Yquem, Haute-Brion and Kistler, as well as one-of-a-kind experiences that include luxury trips to wine destinations, winery guesthouse accommodations and specialty tastings. At the evening’s conclusion, guests are treated to a select port and decadent chocolate tasting.